Carpal tunnel syndrome is experienced as pain, weakness, tingling, or numbness in the hand and wrist. These sensations also can radiate up the forearm. These symptoms of weakness, pain, tingling, and numbness are caused by a compression of the nerves that run up the forearm to the palm of the hand (i.e., the median nerve). The median nerve transports signals from the palm-side of the thumb and fingers (excluding the little finger), and several small muscles, which control the fingers and thumb. At the base of the hand there is a passageway constructed of both ligaments and bone, which provides a tunnel for the median nerve to feed into the hand. Though this passageway is rigid to protect the median nerve, it is quite narrow. Thus, the median nerve is susceptible to being compressed and becoming irritated should swelling occur. Carpal tunnel syndrome is caused by a compression of the median nerve within the carpal tunnel passageway within the hand. Compression of this nerve can occur as a result of several factors. Some have suggested that many patients suffering from carpal tunnel were predisposed to developing this syndrome owing to their genetics. In other words, some individuals simply have smaller passageways for the median nerve to pass through than others. This leaves the median nerve even more susceptible to compression during moments of minor swelling. Other individual risk factors have been identified as well and include age, gender, body mass index (BMI), and a number of medical conditions (such as dysregulated pituitary gland, hypothyroidism, and rheumatoid arthritis). Pregnancy has also been identified as a risk factor for developing symptoms related to carpal tunnel syndrome, owing to the increase in fluid retention. Obesity is another individual factor that has been linked with an increase in risk for the development of symptoms related to carpal tunnel. Several environmental factors have also been identified as playing a role in the development of carpal tunnel syndrome. For instance, should the wrist or forearm be exposed to trauma (either acute or chronic) or injury, the risk of developing symptoms related to carpal tunnel increases significantly with the increased risk for swelling related to the injury or even possible damage caused to the nerve. Another environmental risk is one’s working environment. More specifically, it is known that more time spent in forceful exertion while at work, as well as more hand related activity, can lead to a significantly increased risk of symptoms related to carpal tunnel. A number of treatments exist to help the patients relieve the discomfort and pain associated with carpal tunnel syndrome. Choosing which intervention will depend on several factors, such as severity of the case and the type of work environment. In cases where the symptoms of carpal tunnel are mild to moderate, treatment recommendations will likely be limited to wearing a brace or wrist splints. In these instances, the patient may also opt to have a localized steroid injection. These injections are believed to provide relief due to their role in reducing inflammation. Indeed, corticosteroid injections have been reported as the most effective treatment for acute, short-term cases of carpal tunnel syndrome. Further, recent studies have revealed promising findings regarding the durability of these effects. A recently conducted survivor analysis reports that up to 33% of individuals receiving steroid injections for discomfort related to symptoms of carpal tunnel syndrome had not received any further treatment relating to their carpal tunnel syndrome at a two-year follow-up. Non-steroid anti-inflammatory medications are also available. Similar to steroids, these medications help reduce swelling and thereby reduce the level of associated pain and discomfort. Diuretics (taken orally) may also be prescribed, to decrease fluid retention and swelling, thus reducing the degree of compression on the median nerve. In terms of more invasive treatments that are likely more appropriate for moderate to severe instances of carpal tunnel syndrome, surgery is one available option to decompress the median nerve. While, for many, surgery would be considered a last resort. intervention, the success rates for this procedure, performed through either the traditional surgery opening or through endoscopic approaches, are both excellent. Carpal tunnel syndrome is experienced as pain, weakness, numbness, or tingling in the hand and wrist. These symptoms are caused by a compression of the median nerve that runs down the forearm to the hand. There are several factors that impact the risk for developing symptoms of carpal tunnel syndrome, and include genetic factors, individual factors, and environmental factors. Further, a number of treatment options are available, depending on the patient’s degree of severity. 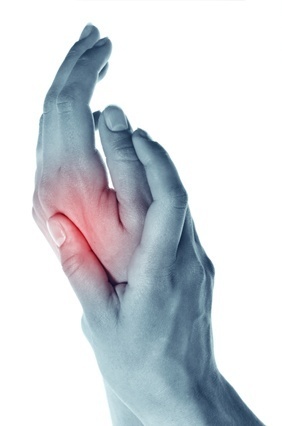 At Nevada Pain our goal is to relieve your carpal tunnel pain and improve function to increase your quality of life. Bouche P. Compression and entrapment neuropathies. Handb Clin Neurol. 2013;115:311-66. Burt S, Deddens JA, Crombie K, Jin Y, Wurzelbacher S, Ramsey J. 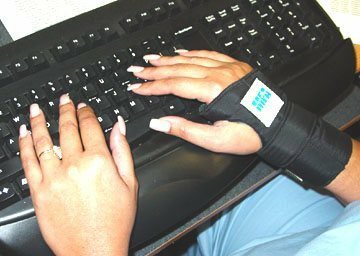 A prospective study of carpal tunnel syndrome: Workplace and individual risk factors. Occup Envrion Med. 2013; 70(8):568-574. Jenkins PJ, Duckworth AD, Watts AC, McEachan JE. Corticosteroid injection for carpal tunnel syndrome: A 5-year survivorship analysis. Hand. 2012;7(2):151-156. NINDS. NIH. Carpal Tunnel Syndrome Fact Sheet. July 2012. NIH Publication # 12-4898. Retrieved from: http://www.ninds.nih.gov/disorders/carpal_tunnel/detail_carpal_tunnel.htm#236423049. Soltani AM, Allan BJ, Best MJ, Mir HS, Panthanki ZJ. A systematic review of the literature on the outcomes of treatment for recurrent and persistent carpal tunnel syndrome. Plast Reconstr Surg. 2013;132(1):114-121.